This is probably the biggest makeup hauls I've done so far on Queen Bee Becca! 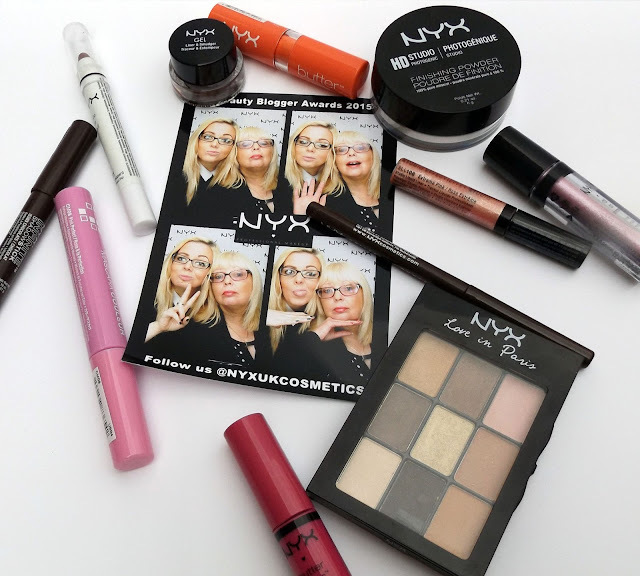 I've got so many Nyx products that I couldn't pick a few to show you, so decided to just show you them all! From lipsticks to eyeshadows, I've got it all! Nyx is mainly an American based brand but they are bringing their products to the UK. They are also a cruelty free brand which I feel is always a plus. I'll jump in and start with eyeliners! First up is the Matte Brown Liner from the collection chocolate. It's an automatic eye pencil with a gorgeous matte finish. It's super easy to use and glides across the skin without dragging your delicate eye area! 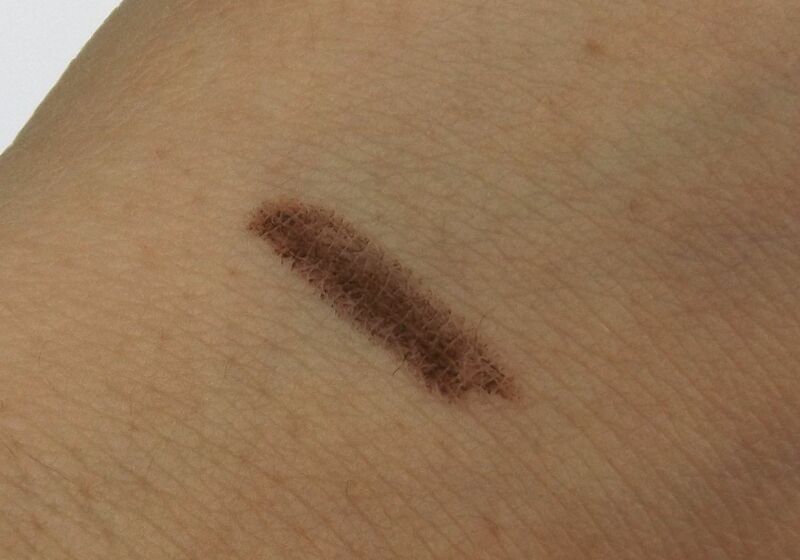 It's a gorgeous chocolate brown which will be the perfect addition to any smoky eye look. It also has some serious staying power and doesn't smudge easily which I love, as I'm awesome at forgetting I have pencil eyeliner on and smudging it across my face! I also got the Nyx Jumbo Eye Pencil in the shade 631 Sparkle Leopard. 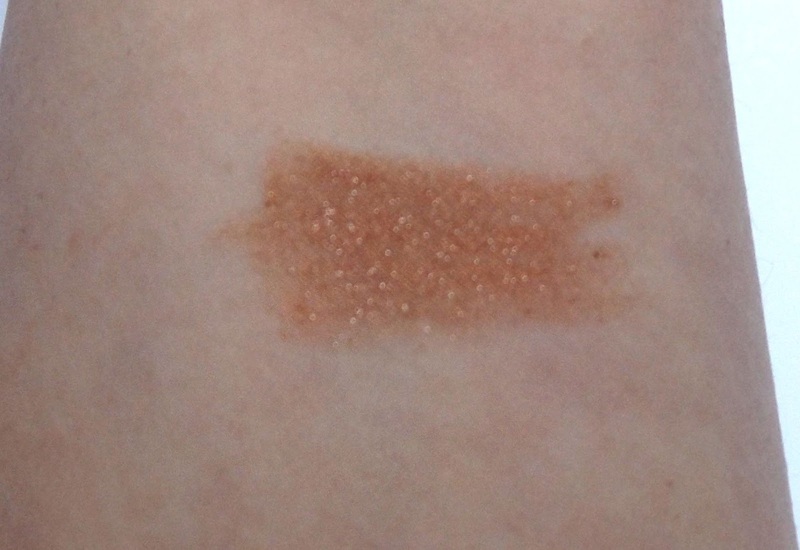 It's a gorgeous fat pencil in a beautiful brown/bronze shade that glitters! 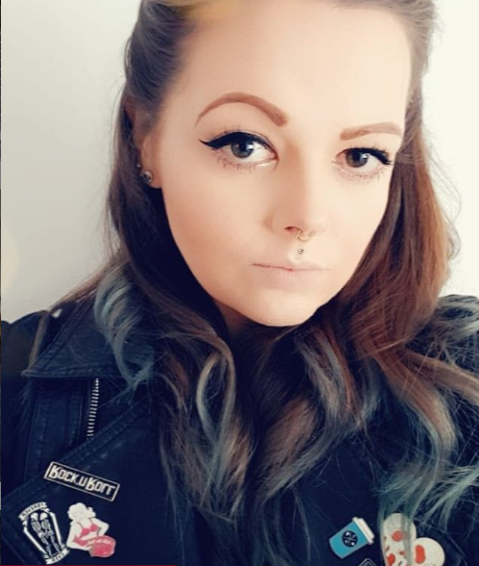 I wore this under my eyes at work and I loved it, it add's a bit of colour without being overpowering and it's not so glittery that it's a total day colour! 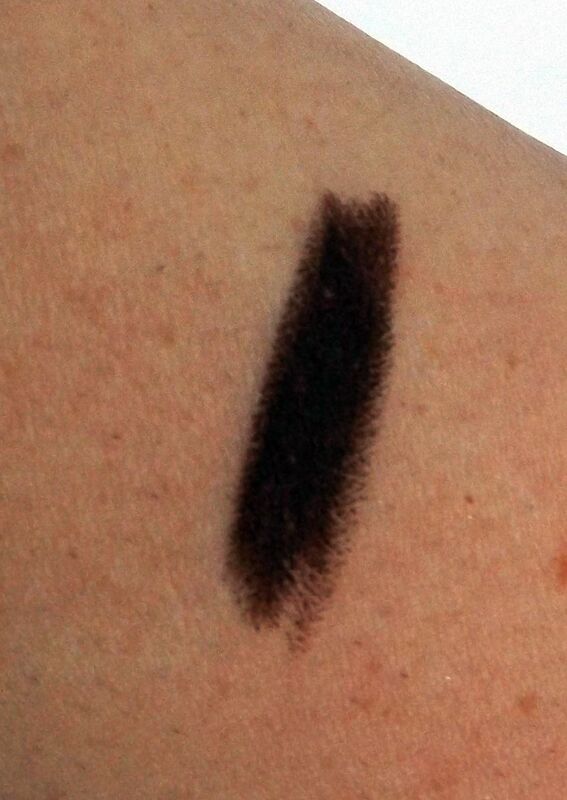 Like the Chocolate eyeliner it glides on the skin and doesn't drag, leaving behind a smooth, even application. I can see this one being used a lot in the autumn season! Keeping with the eyeliner theme I have the Nyx Studio Liquid Liner in the shade Extreme Pink. 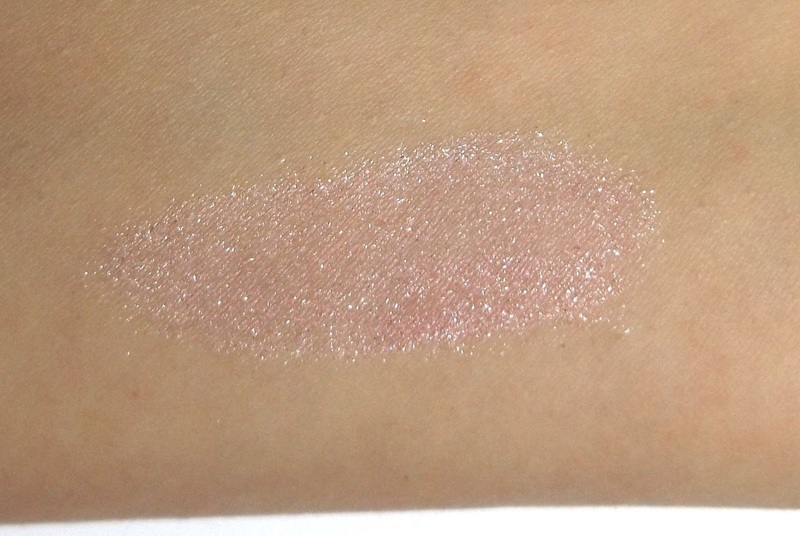 I won't lie, pink eyeliner sounds horrific to me, I don't want my eyes to look tired but this is a gorgeous light pink with a hint of shimmer! It's not one I'll be using everyday or replacing my trusty black eyeliner for but it is one that I will use under my eyes or to give a bit of light in the corners. I think anyone could pull this shade off! Like all the other Nyx eyeliners it's a lovely smooth application with a even colour application and it has staying power! My final eyeliner is the Nyx Gel Liner & Smudger in the shade Charlotte. I haven't been able to use this properly yet as I don't actually have a brush for it, being more of a liquid eyeliner girl. I have used it but with an angled brush I had in an eyebrow kit and for my first attempt with gel liner I was impressed. However I prefer the staying power of a liquid eyeliner so I would definitely use this as a smudger more than anything else. 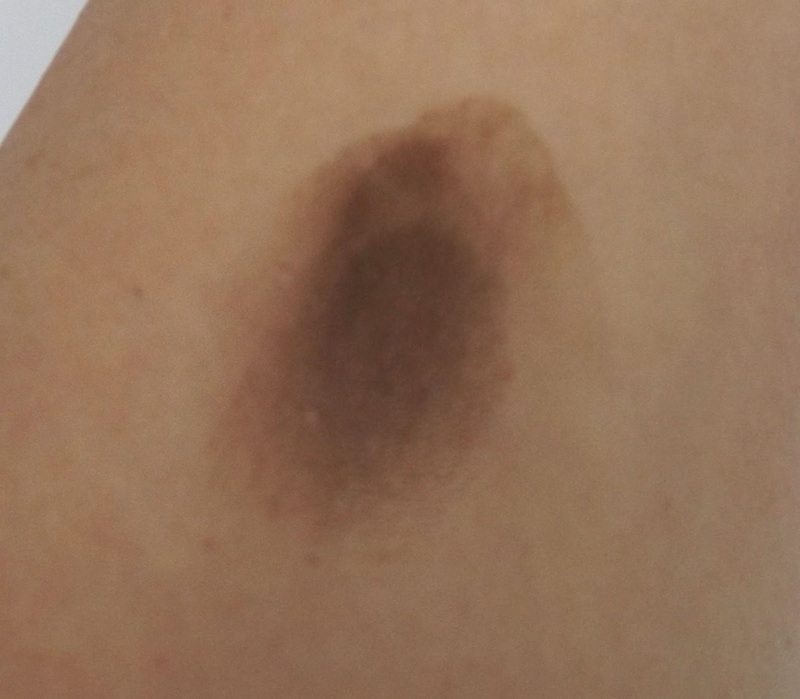 It's a gorgeous brown shade that will be utterly perfect for smoky eyes and the festive season. Keeping with the eyes I also picked up a few eyeshadows! 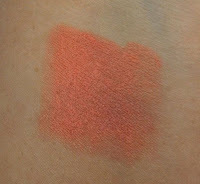 The first one I couldn't resist was the Nyx roll on shimmer in pink. It made me feel about 14 again with the roller ball application! It's a super girly pink with lots and lots of sparkle, perfect for all the festive parties coming up. It doesn't drag like how I remember roller ball eyeshadow doing and so far I haven't had any mishaps with the ball getting stuck either. While this isn't going to be an everyday item for me, it's one I'm happy I have in my makeup bag. Next up is the Nyx Love in Paris eyeshadow palette! It contains 9 shades called Madeleines and Macaroons. One thing I love about this palette before I even get on to the eyeshadows themselves was the packaging! The little clip at the side is in the shape of a bow and is just so cute! Nyx really do pay attention to the details. 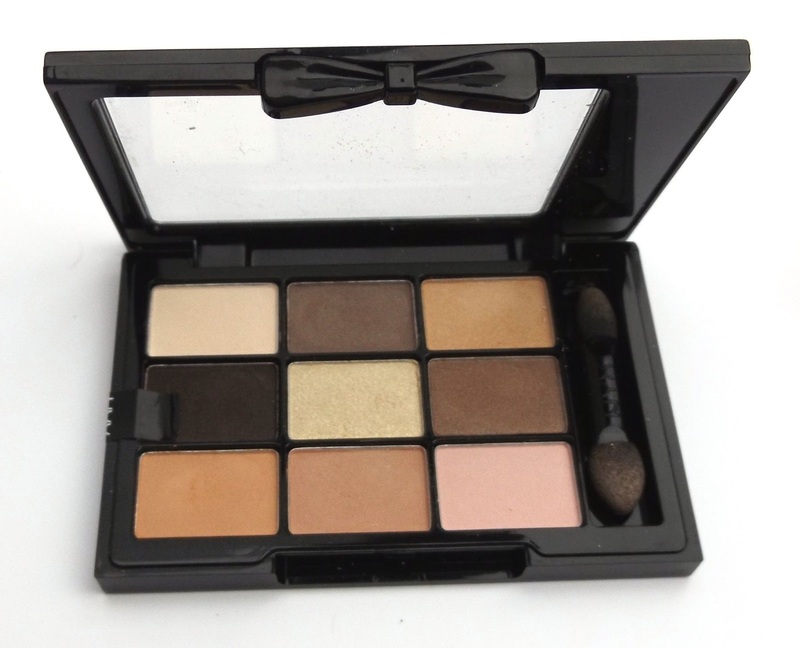 It contains 9 shades of bronzes, browns and golds and reminds me of the Naked Palettes. The colours are build-able and super blend-able and would match perfectly with the brown eyeliners I got. 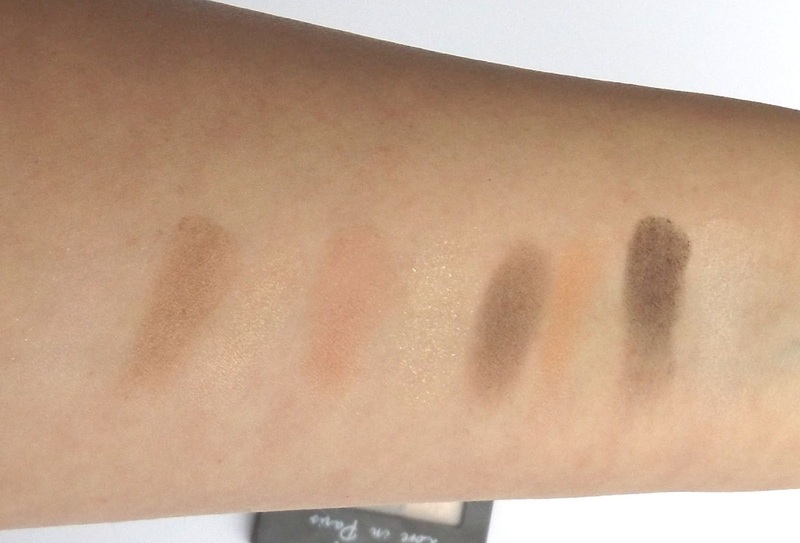 I'm not a massive eyeshadow wearer but I think I will use the palette a lot! Last for the eyeshadows is the Nyx Infinite shadow stick in the shade Chocolate. This is similar to the jumbo eyeliner for size and application, except this has a super soft and velvety feel and leaves behind the most gorgeous chocolate brown shade without even applying any pressure, on your hand. Your eyes however is a totally different matter. It drags, doesn't blend very well but I do love the colour. 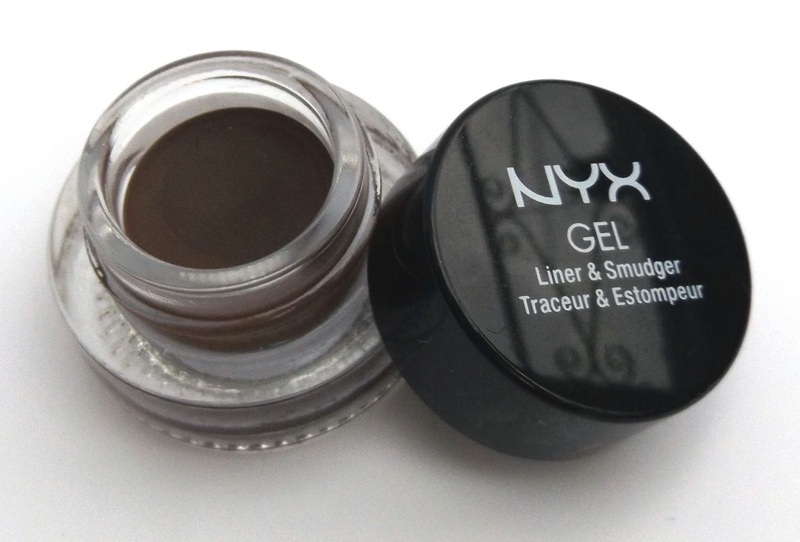 They like all the other Nyx products have an awesome staying power and offer great colour without any hassle. Love it. 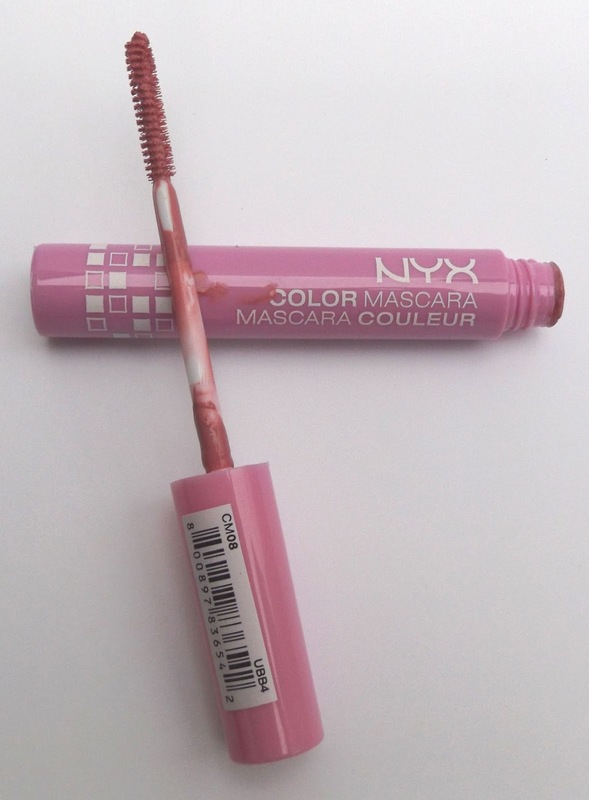 I have one final eye product in my haul and that's the Nyx Colour Mascara in the shade Pink Perfect. I can't lie, I haven't even been brave enough to put this on my face yet. I didn't even know pink mascara was a thing until I got it! It is very, very pink. It might be usual for a Halloween look or fancy dress type event but I can't see me ever really using this. I will get brave and apply it sooner than later but I'm not just not sold on the pink eyelash thing. 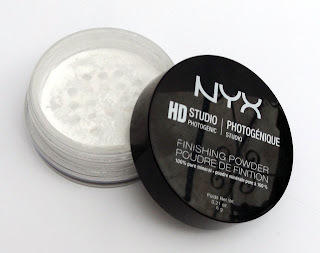 I have one powder product which is the Nyx HD Studio Photogenic Finishing Powder. It's 100% pure mineral powder that gives you a flawless finish. It is an odd white shade but it doesn't transfer white! 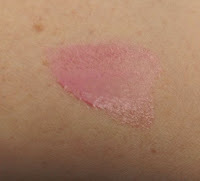 It just leaves the skin with a gorgeous finish that can be worn over your foundation or alone. I've used this instead of my normal translucent powder for a few days now and I'm super impressed with the overall finish. I always get shiny during the day and this has helped keep it under control without making me feel cakey or overdone. It also makes your skin feel amazing! I think this might just be a repurchase from now on. Lip products time! 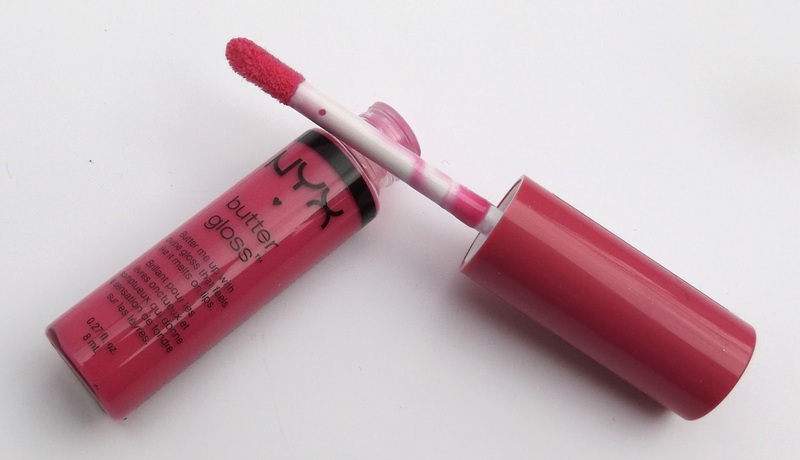 First up is the Nyx Butter Gloss in the shade Strawberry Parfait. If you've been reading my blog for any amount of time you'll know I utterly hate lipgloss. I can't stand the gloopy, sticky texture that my hair seems to get stuck in every 30 seconds and unfortunately that's exactly what this Butter Gloss is! It's a gorgeous barbie pink colour, that stays true once it's applied but I just can't get over my lipgloss hate. I might give it a shot on a rare occasion I wear my hair up but until then it's going to be on that lives in a makeup bag and rarely comes out. 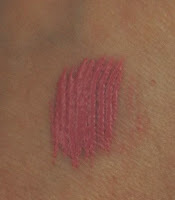 Nyx Butter Lipstick in Lollies however is a totally different product! 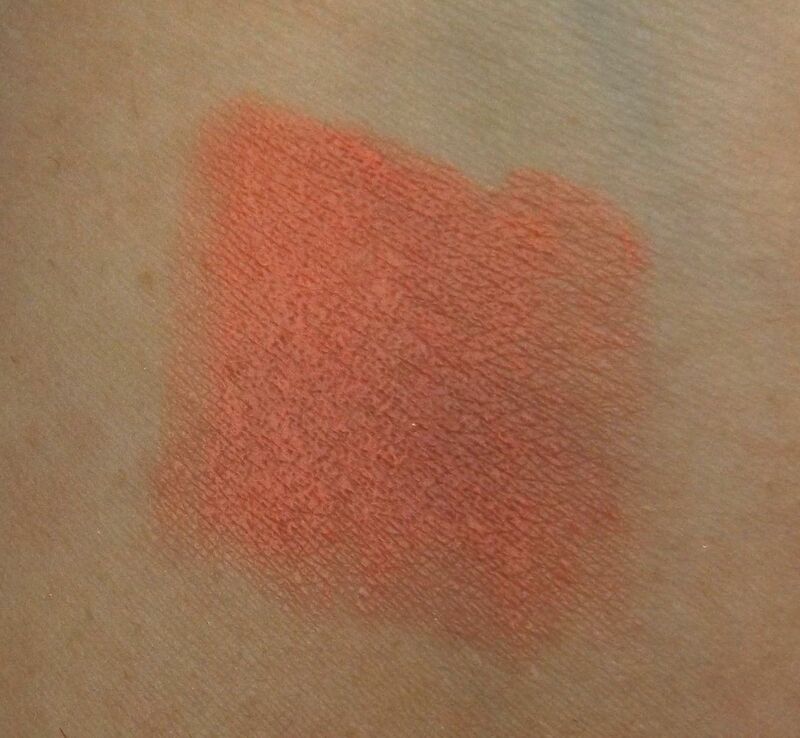 First up it's the most perfect peachy, muted coral colour ever. 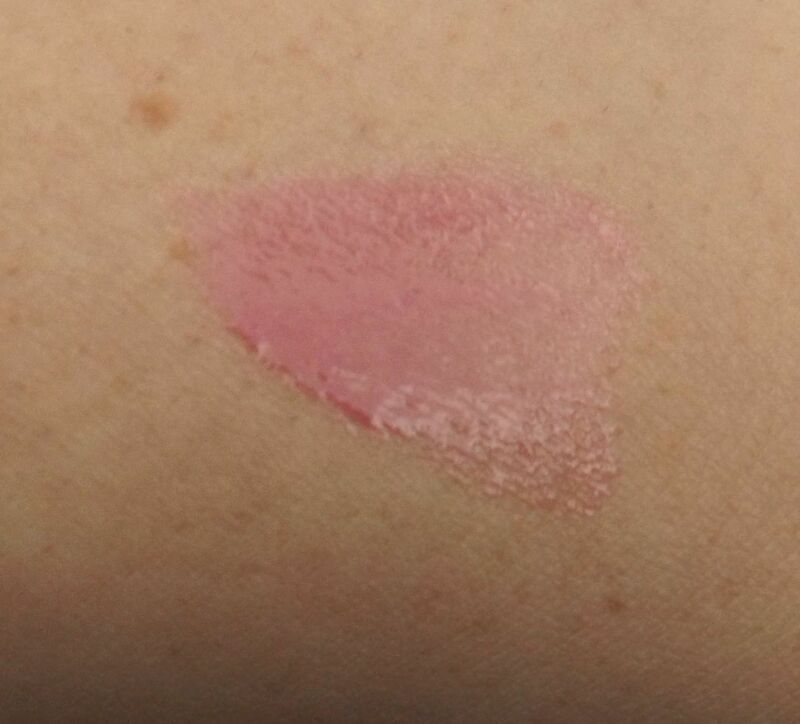 Second up, it's not sticky, it glides on and leaves you with awesome coverage. It doesn't dry the lips out and it doesn't slide off my lips in half an hour. 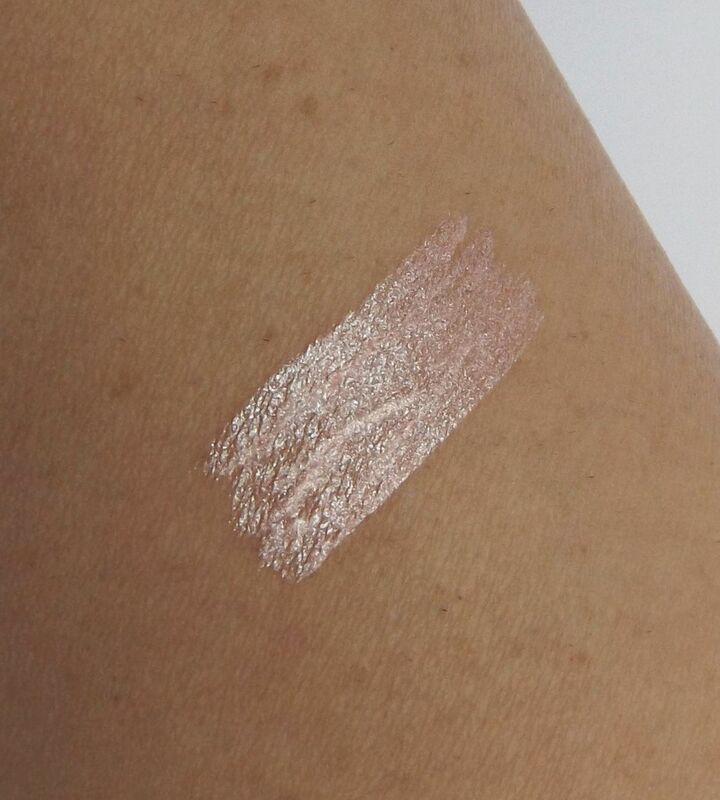 It is one you do have to keep reapplying to keep the colour and it's not one you'll have to worry about applying perfectly as it's super easy to wipe off or use as a colour tint! Overall my impression of Nyx is a good one and there's a few products I will be repurchasing! Have you tried any? I'd love to know your thoughts in the comments below! *contains products from PR samples and gift bags.